Your website is more than just a home for visitors visiting their to get the information about you and your product/services , so it must be handled with care , in order to be successful you must differentiate from others in your industry . We all know that it’s a big big world and changes of standing ahead of your competitors are not common at all . It might be frustrating for you to do all this , but I guarantee , visitor who is looking to choose best among you , it’s more frustrating for them to choose from varieties of option . For instance our client Shantiniketan Group , who is builder and contractor , are one in the industries where everyone shows the same thing , that is about the company , up going projects , floor plans , pricing sheet and blah blah blah….. . Shantiniketan is young in industry and have smaller team , yet that want to develop an quick unique online identity . 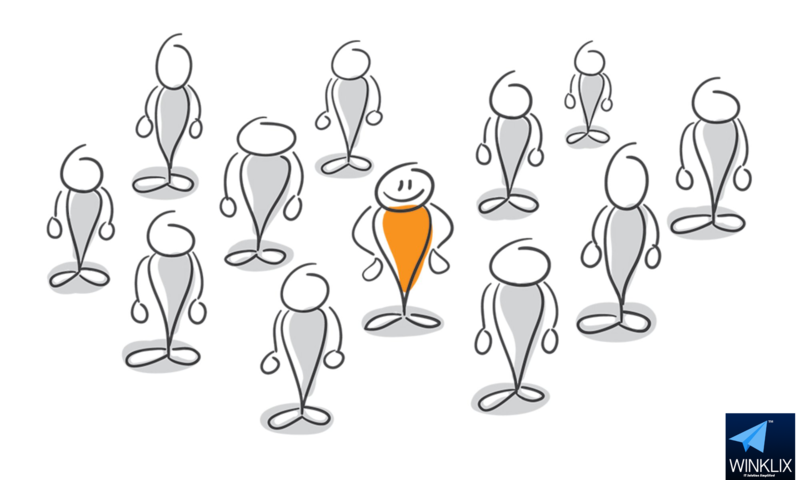 To develop an unique online identity , Winklix.com , a website developer in delhi, understand and identify differences and then strategically applied them both overt and subtle measures throughout the website . Looking somewhat different is all you need to be successful in online industry .Winklix website designer and developers can help you to create your visuals into reality . Dense content is you should focus on . It’s useless to have too much content on the website , all needed is be specific and concise as it is possible , just specifying the content that best describes your services and gives user a natural reading flow . No one is going to read the whole paragraphs of copy on your website , so make sure to say it quicker , smarter and induce them . Thus while creating a visual identity for your business , the above given factors is all you need to have something unique and be a successful leader among many in the market . You can hire winklix.com who has gained good reputation as website designing and development company . How much does the app cost ? I love making application and playing with the developmental part .Hell , myself and Pratibha has started this company to take new challenges everyday . Our wish has come true , we are getting all wonderful enquiries every day and we are facing a new height of opportunities every day . We often try to handle the new enquiries by ourself as far as we can , as we really get excited about business and people who make to have an mobile application . We have often share with you many articles , but when the question comes for mobile app development , be have to put together this article to share with you some really interesting things . This is one of the hardest things indeed . We got lot of calls from companies to finish an “underdevelopment app “which was started somewhere else . It is a really tough task from developmental point of view . The simplest way to determined which i think would be viable will be , hire two high qualify chef and assign them the task to make the same dish , they will use the same ingredients in making the delicious food , but they will do it along their way . None of the way is right or wrong , but just different with their own strategies . So trying to unpick a half cooked food to see whats gone so far , is next to impossible job . Each mobile app development has different level of skills ,strategy and framework in which it has been developed , thus in case you want to hand over your half baked app to someone else , they have no other alternative than to just start with the whole app again , or taking unnecessary time to complete the application .A good mobile app development company will tell you “no” when they don’ t think something is right , and will always look to enhance and add values to your idea of application development . Don’t be a person who calls us in the middle of half baked app , instead be a person who calls us who give us a ring in the very beginning , and briefly explain the whole wireframe of your mindset for development of app . One piece of advice is a good developers won’t be able to design a good app , a good designer can’t do a coding part , and a server expert does not have to no anything with designing and development . So while choosing a right app developer , before choosing and coming to any conclusion , make sure they have solid team to fulfil all your needs. If you think apps apps can be made in few hundred’s bucks , then it is absolutely not . 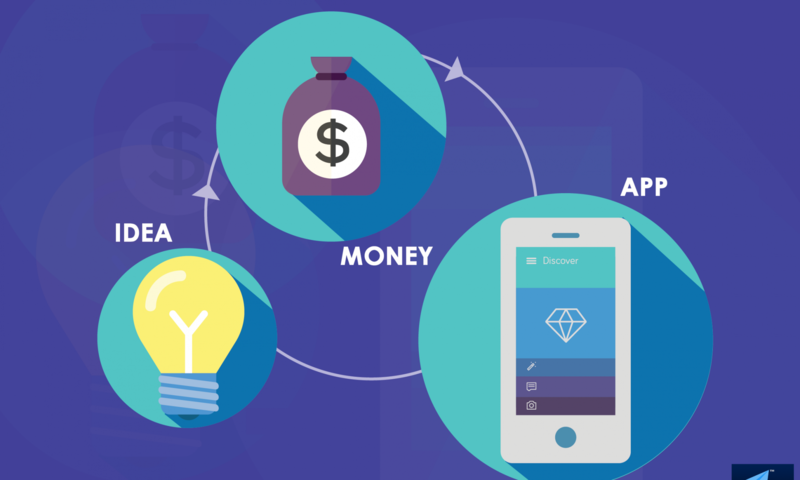 A basic app developmental project will take around $ 2000 . And the cost so move on depending on functionalities and time frame required by you . Please please please check , before you even think of starting something new . Your idea might be someone dreams on which they might have taken first step to fulfil their dreams . If you think you’re genius who bring’s the very first idea , then you may be not , or if you are , might be that can’t be done due to limitations . 1) Ask more and more people to give an opinion about your idea , apart from asking only with your friends and family who can give you biased decision with due respect . 2)Don’t try to become another flipkart , everyone wants to become some brand who is already famous , but that idea might not work . So try to be as unique as possible . 3) Don’t try to copy Facebook , Twitter , Instagram in case you are planning to make replica of it . Always remember , many persons are only moving on that part. So make your idea innovative , be creative , so that the final output comes with something new . 4)Respect the app developer’s opinions , although our words are not golden charms , but we are a little bit expert in our field , and we know a lit better than you people what apps are on fire and who are not . Every different platform has their own programming languages . 2 most commonly programming languages used are android studio for android phones and swift code for iOS . We only have right now two platforms for developing an application , i.e. you can go for native app building or you can choose a cross platform for developing an app . Each has their own pons and cons . 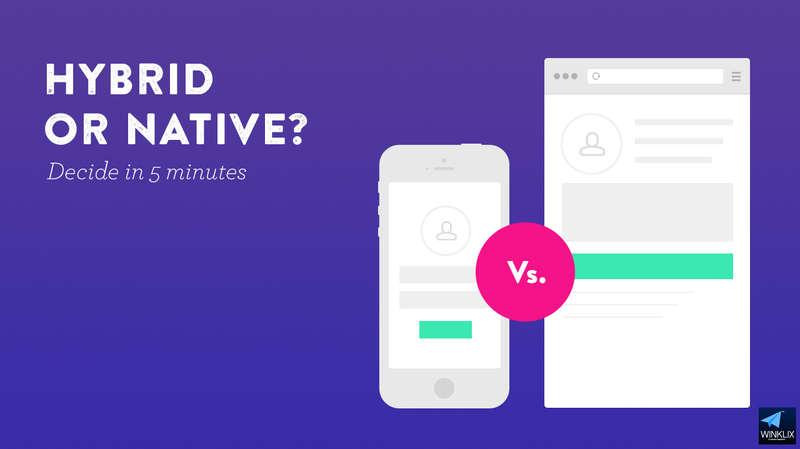 For details of what is cross platform and native application you can refer our article native application vs hybrid . App designing and development have several stages and each stage has different persons and team , your duty is to ask information on each and every stage to make an awesome application . 1) Designing : The designing of mobile application is not like website designing .Designing is the main thing which must be taken care of as users are going to see your front end of the application , and if they don’t find it useful ,your user might go away . App development requires development of app for 20 different available sizes and their respective resolutions .Its truly said that ” First Impression Is Last Impression ” and the case applies in case of mobile application for user usability. 2) Development : Which platform ? Which framework ? Development is heart of project and its essential to make sure it’s build in correct way since the very beginning of the process . You you want to update something in application , development should be in such a way that you should not require to re-write modules . 3) Web Services : Errrr question arises ? What are these ? In some words we can say web services is mechanism in which an app connects to web server for communication , connection and other things .This can be login/signup thorough Facebook , for showing dynamic content . If web services is not handled carefully , the app may slow down , crash ,fall over etc . 4) Testing : Test your app as many times you can , not only on your phone , but for external people also .If you launch an app on stores , make sure it’s bug free . 5) Project Management : Don’t focus on some cheap android developer who is not at all going to give you some positive result . It’s the most important element of application building . If you hire a good agency , they will charge a good project fees . 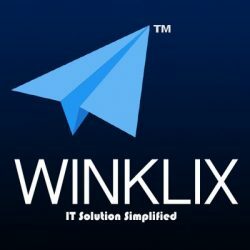 winklix.com is leading app developer in Delhi , having experience of developing 500+ application , giving affordable app development solution to clients since 2004 . Native Application Vs Hybrid ?? Which one to choose ?? Today we are going to discuss about native app and hybrid app , what it is , the changing technology behind it , which app for development to be preferred and much more.Lets start with intro of both categories of applications. Mobile application are now a days become necessity for an any kind of business to run their company and stay ahead from their competitors . To get the best result out of it , you must hire best mobile app developer who will be going to solve all your need’s and give you best suggestion as well as design and development for your would be application. Native app are application developed specifically for their respective platforms , like Xcode for iOs app development and android studio for android application development and so on.These kind of apps are preferred by most of the recognised business owners because of their ease of usability and minimum bugs . Native apps are build by experts like java developers in case of android application designing and development.Professionals who knows the programming of application well can neatly design and develop parameters of the application and can boost user experience and sales of the company . Now a days customer only download or uses that kind of application which are easy to use , with best user interface and the most important which fulfils their usability in competitive market condition . Native apps are usually proves best for all category of application , but in case you are in process of developing something big , then you must have to encode it via native applications only .The best way to build e-commerce application is on native app only as we can design the app according to customer needs and requirement , and thus enhancing the user experience. Hybrid application are one which are nothing more than the mobile responsive version of website , which are converted into application common for all platform by the use of software like CORDOVA and many other available softwares. In case you have limited budget , and is having a small website , then obviously you should choose to go on with hybrid category of application as it can be proven beneficial as it will give you app for all platform at very cheap cost .But in case you are planning something big , or want a great user experience their native application is preferable. In hybrid kind of application , we cannot define design specifically for different platforms , all we can do it conversion of website into application.Hybrid application development does not require a profession to convert or decode the application , any person who have good knowledge of HTML,CSS,JS can convert the application easily by softwares . In Winklix terms , going for an hybrid application development is non other than just waste of money , clients if they can afford it they must build an app only and only on native platform. Winklix.com is leading app developer in delhi having experience of creating more than 200+ applications.Call +91-8882-31-31-31 in case of any expert guidance.